Judicial nominees have landed in hot water over failing to disclose all sorts of things. Some have declined to disclose political contributions, others have neglected to mention they’ve employed illegal aliens. However, the thing that one of President Trump’s judicial nominees failed to disclose, well, this is a new one. Brett Talley, one of President Trump’s federal court nominees, has drawn some unwanted attention over failing to disclose years of posts he wrote on a University of Alabama fan site. While Talley did disclose writings of his that he posted on other sites; such as posts on “Government in Exile,” and some writings on his personal website about horror writing. Talley did not disclose any of his writings on TideFans.com. However, there’s some dispute over whether he actually needed to disclose those writings. White House spokesperson Hogan Gidley sent an email to BuzzFeed News, arguing that message board posts need not be disclosed to the Senate Judiciary Committee. Gidley makes a strong point with this argument. How, in the 21st Century, can anyone be expected to disclose anything they’ve ever typed on a keyboard? Maybe a case can be made that Talley should have at least informed the committee of his username, and the fact that he posted on a fan site. 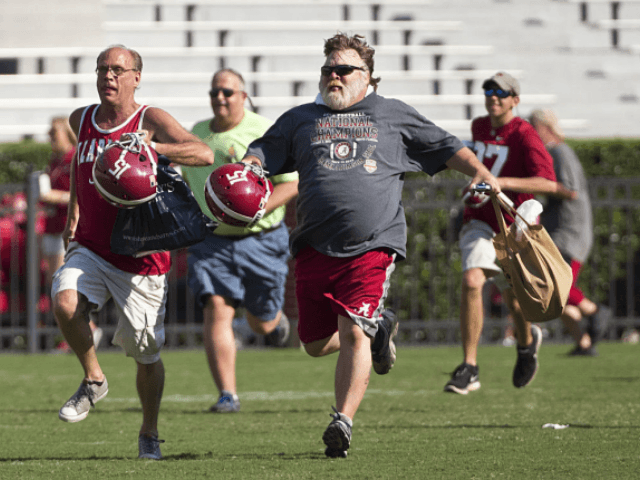 However, expecting Talley to collect and present thousands of comments about 5-star recruits and whether Nick Saban has surpassed Bear Bryant, is a bit much. If the committee wants everything anyone has ever typed on a keyboard, then they need to explicitly state that. If not, maybe we can get back to bigger things and leave BamainBoston alone.